It’s 6pm in Bangkok, and all over, street vendors are busy selling food. 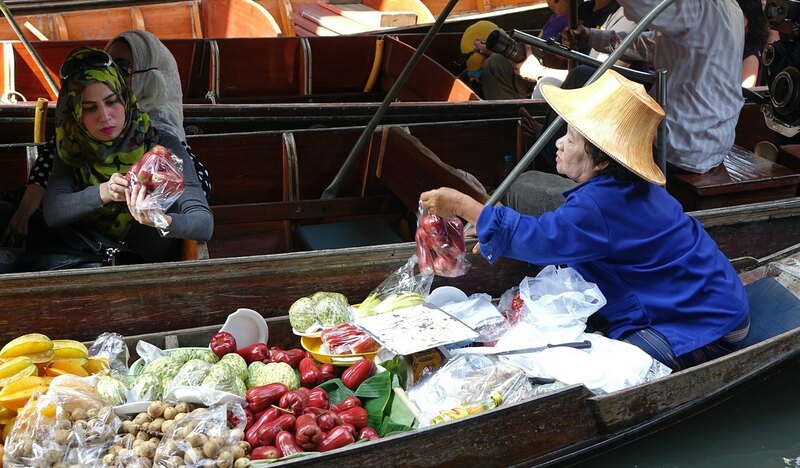 Thais do almost all of their grocery shopping on the street. Locals walk around with little bags full of rice, curry, noodles, or soup. 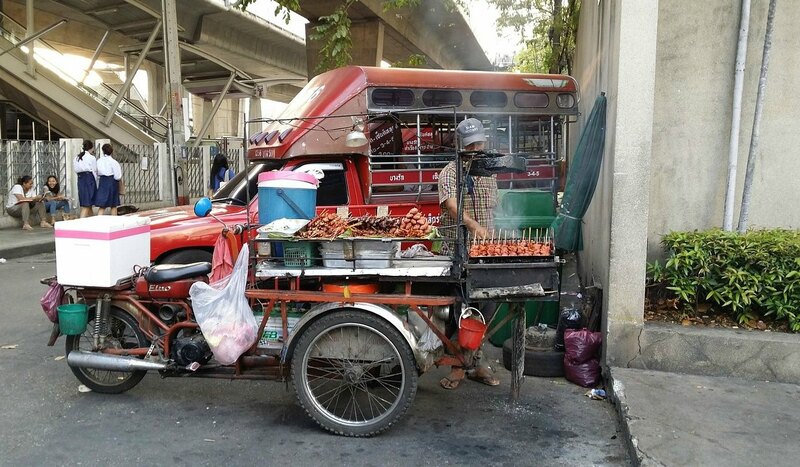 With food so cheap and kitchens so few and far between, very few Thais in Bangkok cook their own meals. Sidewalk chairs are filled with coworkers sharing meals before they go home. Eating here is a social activity where hunger pangs, not the time of day, tell you when to eat. 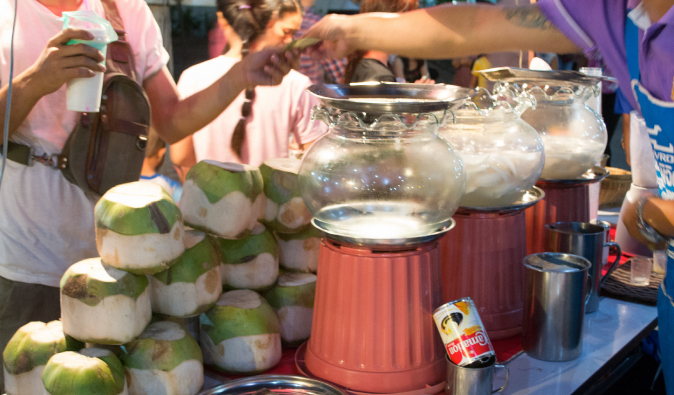 Bangkok is a gastronomical dream, and wandering its streets is heaven. Stalls line the streets, selling everything from snacks to sit-down meals. Sections often specialize in certain products, and the time of day dictates which stalls will be where with the precision of a Swiss watch. Waking up for breakfast, I strolled down the street. All around me Thais were buying breakfast (usually fruit or soup). Workers were buying their lunches, loading up on rice and curry, noodle dishes, and soup. The woman next to me was buying fruit. I grabbed my fried bananas and went off to explore the city. After a few hours, I was hungry again. Thai food is delicious but not very filling, which is one of the reasons why Thais are always eating. They eat constantly throughout the day because they eat small meals. 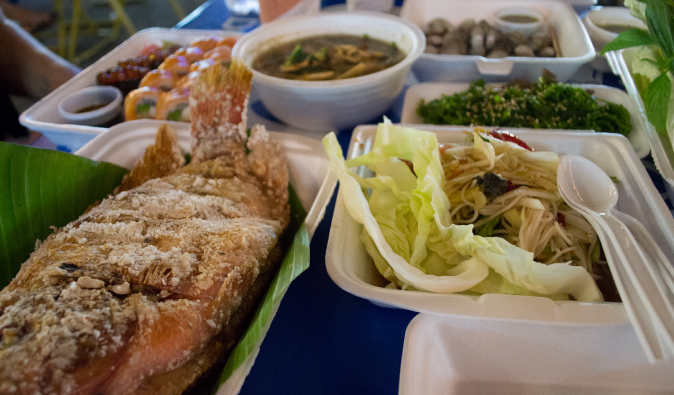 Thais traditionally eat very low-calorie meals, too, though the rise of the Western diet has recently led to an increase in obesity. Yet, for the most part, Thais are still tiny and much healthier than us—we could learn something from them. Now I was in Chinatown looking for a pre-lunch snack. The bananas were good, but I was craving something more. Around me were vendors selling candies, fried fish, Pad Thai, fruit, and meat on a stick—basically anything you could think of. It was a buffet, and I wanted to choose everything. I decided on some chicken. The smell was powerful as the cook pasted it with spices over the grill. He handed it over to me, and as it steamed, I put it in my mouth. It was hot, but good. The chicken had a nice garlic taste to it. These BBQ sticks of meat are my favorite Thai street food. They make for the best late-night snack. Knowing my appetite, I also picked some chopped pineapple for the road and headed off to explore more. Lunchtime rolled around, and I sat myself down at a little stall. Thais were trickling out of their offices and descending on these vendors for their midday meals. I ordered some curry, Western style (mild). Thais love their curry and all throughout the streets, the smell of chili fills the air. The seats around me filled with locals chatting about the day. My Thai wasn’t good enough to understand, so I just enjoyed my meal that was (still) too spicy for me. After lunch, I continued trekking around. I let my nose guide me. I nibbled on my pineapple and picked up some fried wontons. When that was finished, I picked up some spring rolls. I find Thai spring rolls to be delicious—they’re light, crispy, and the sweet chili sauce adds just the right element of spice. Dinnertime arrived as I made my way back downtown. It had been a good day of eating, and I was still stuffed. Dinner was going to be a small meal. Looking at all the shops around, I wondered what to eat. I had eaten so much already. I could smell curry and soup, and hear the frying of chicken and the cooking of fish. I’m never going to go hungry in this city. I sat down for some pat gao paow. It’s a chili dish with minced chicken and basil. I ordered it mai pet (not spicy) and ate it over a bowl of rice. Even to Thais, “not spicy” means a little chili, and for every mouthful I had, I needed two mouthfuls of water. Despite having lived in Thailand for a few months now, I’m still unaccustomed to spicy foods. I finished it off, my mouth as hot as a volcano as I thanked the cook. After a long day of eating, it was time to lie down on my couch, unbuckle the belt, and watch some TV. But not before I got some snacks for later. 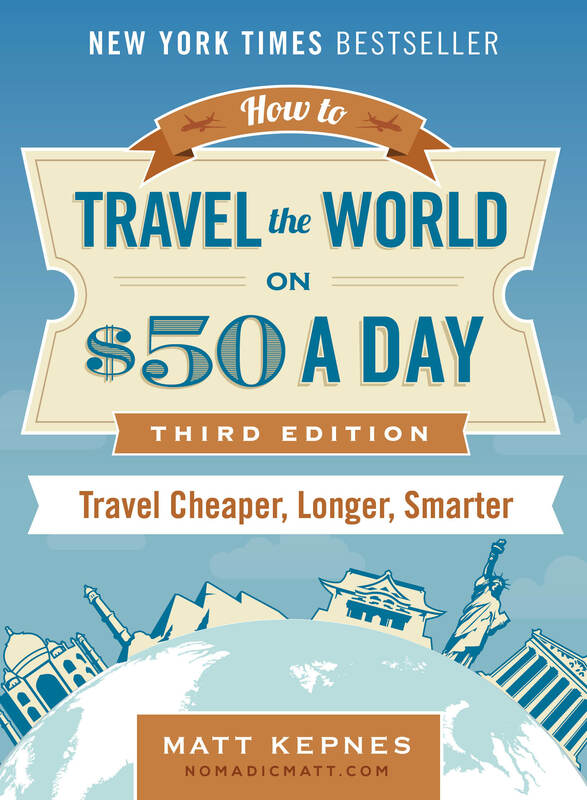 My detailed, 170+ page guidebook is made for budget travelers like you! It cuts out the fluff found in other guidebooks and gets straight to the practical information you need to travel and save money while in Thailand, a country I used to call home (so I know it really well!). You’ll find suggested itineraries, budgets, ways to save money, on and off the beaten path things to see and do, non-touristy restaurants, markets, and bars, and much more!! Click here to learn more and get started. Check out my detailed guide to planning a visit to Bangkok with suggested itineraries, places to stay, things to do, where to eat, and how to get around. Just click here to get the guide and continue planning today! Green House Hostel – This place is a backpacker institution. 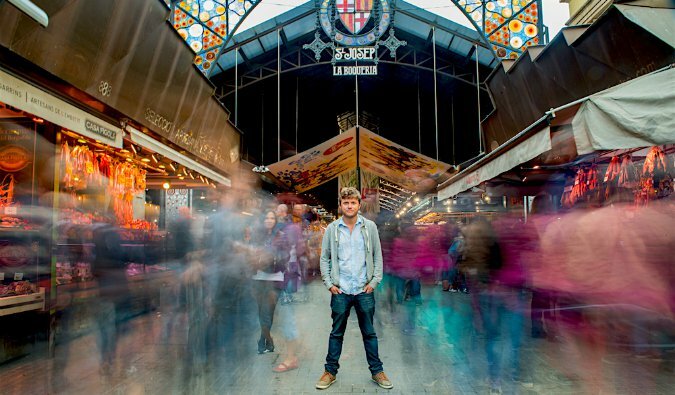 With negotiable prices, it’s a budget backpacker’s dream! Mad Monkey Hostel – This is a popular party hostel near Khao San Road that has a bar and a pool, so the party goes late here! D&D Inn – Good, clean rooms with a pool right on Khao San. Another fun party hostel where it’s easy to meet people. Want More Information on Bangkok? 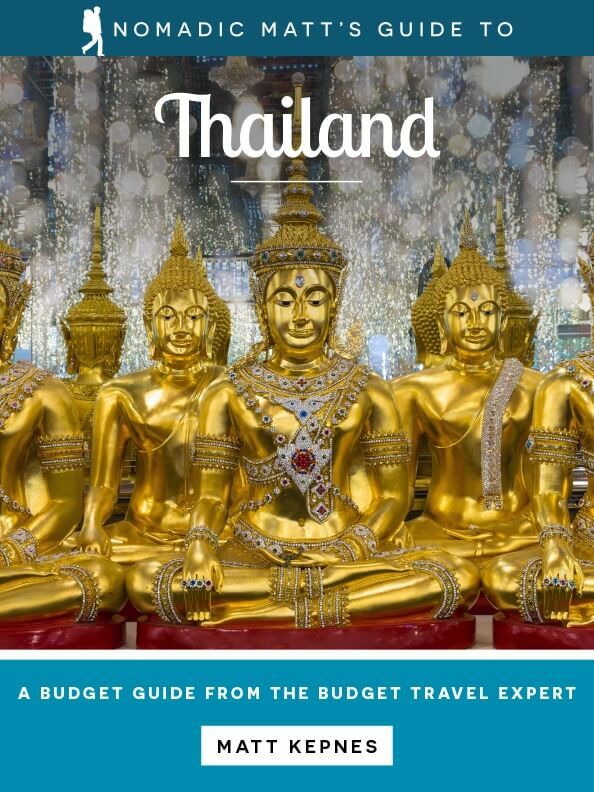 Be sure to visit our robust destination guide on Bangkok for even more planning tips! Hmmm. I need to go get me some Thai food stat! I love eating Pad Thai from the streets, piled high with with loads of dried shrimps all for about 20p! 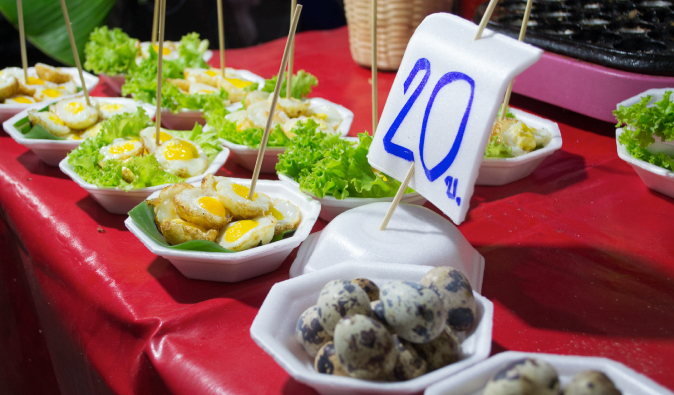 Thailand is street-food nirvana. I wish the U.S. had more meat-on-a-stick… and I don’t mean corn dogs. 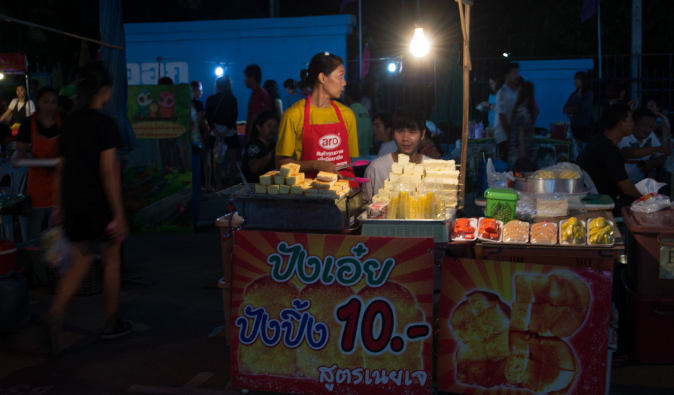 My favorite foods to buy on the street in Thailand are pad thai and pineapple. The pad thai will make you laugh at how much you pay in restaurants for stuff only half this good, and last time I was there you could get half a pineapple all cut up and ready to eat for the equivalent of about 50 cents U.S. My mouth is watering…. I don’t know what I will do when I have a food craving at 2am and there’s nothing around! 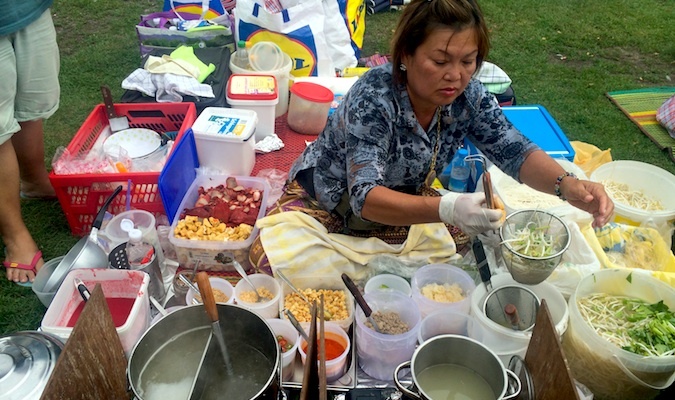 I lived in Chiang Mai, Thailand for 5 years and fell in love with the street food culture. I want to bring the best of Thai, Burmese, Vietnamese and Indonesian street food flavours to my home in Chennai, India. I wonder if you can guide me on how to connect with street food companies in Thailand, to invite them for a food festival in Chennai, India! Hope to hear back from you! Thanks for the great article. We need that 🙂 I’m heading to Bangkok this sept with my sisters and friends. Do you know any decent accommodation which is safe and affordable for the ladies? Budget within 12,000 to 15,000 baht. Thanks in advance. I am just wondering (and a little bit worried) – although I must say reading through your blog posts encourage me – is 13000 Thai Baht enough for four days? I already have my fare and hotels booked, I don’t like shopping much, and I am loving all the street food of the world. Is 13000Thai Baht enough? I am excited. I am worried. I am… excited. Lol. Bangkok soi 38 for me is the current mecca for street food in Thailand, so tasty and nice! Hey, I think your site might be having brolwser compatibility issues. When I lokk at your blog in Firefox, it looks fine but when opening in Internet Explorer, it has soke overlapping. wow .. looking to all the photos of various food makes me wanna go to Thailand for the third time. I’m planning on taking a trip to thailand (this will be the first) with my sister soon, but we are pescetarian and she is allergic to chilli. Are there any foods she will actually be able to eat that you are aware of? Or any savoury thai dishes which typically don’t contain chilli? Agree, Chinatown in Bangkok has some amazing food at good prices. 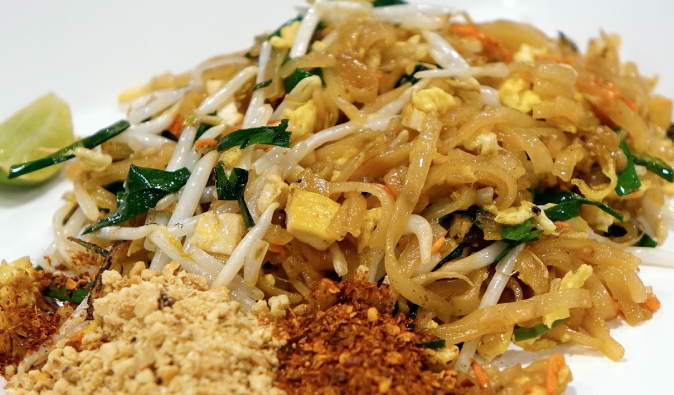 You should also check out Thipsamai Pad Thai in Bangkok, known as the best pad thai in the world. I tried it, it was pretty good, not sure if it is the best in the world though. But it is great to check out anyway. Crazy line up outside, need to wait about 1 hour to get in. Nice post, enjoyed the read. Any idea what sort of rub is on the plank of fish in the photo?